The next slate of Marvel films will soon be upon us, now that we're about to enter the new year, and the one closest on the horizon is Marvel Studios' 'Captain America 2' (officially titled 'The Winter Soldier). 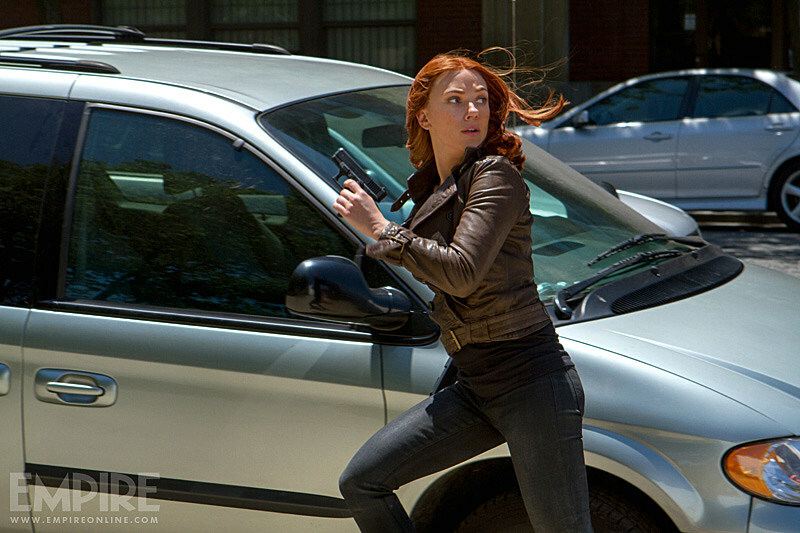 As Empire Magazine drops its latest issue on news stands featuring our patriotic strongman's next standalone mission, new photos from the sequel have hit the web in addition to some new looks at 'The Amazing Spider-Man 2'! New and old faces return in 'Captain America 2' as Chris Evans' Steve Rogers still adjusts to life in the modern age, after having been revived from his frozen state and enlisted to battle Loki's alien horde in 'The Avengers.' 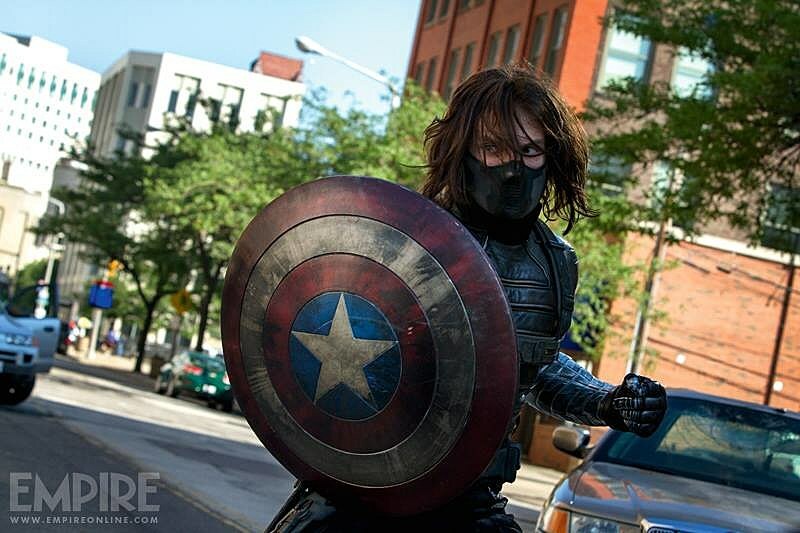 Some familiar allies will be Scarlett Johansson's Black Widow and Samuel L. Jackson's Nicky Fury, but as the new 'Captain America 2' photos depict, Sebastian Stan returns as the thought-to-be-dead Bucky Barnes -- only he's been brainwashed and genetically enhanced to become the assassin known as "The Winter Soldier." But is he the real villain of the film? 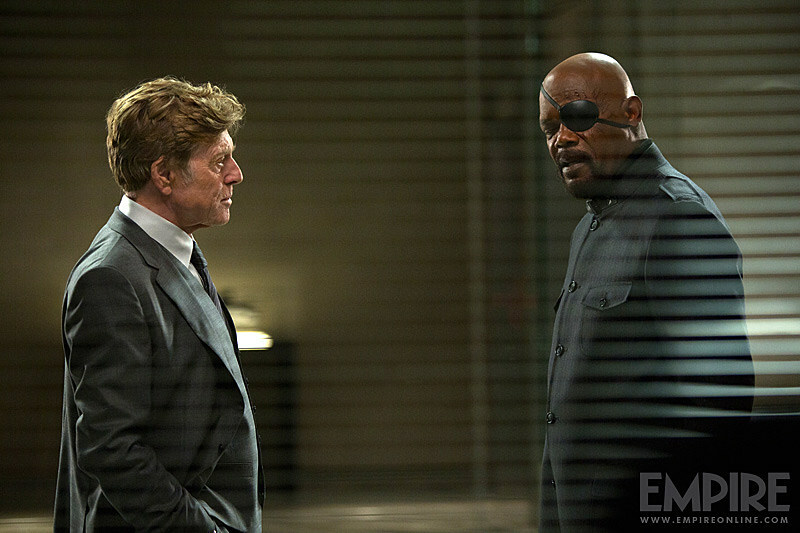 We also get a new look at the mysterious Agent Pierce, played by Robert Redford, who we know has more of a part to play than meets the eye. Frank Grillo joins the cast as comic book villain Crossbones (who'll seemingly rejoin the Marvel Cinematic Universe down the road) and Anthony Mackie boards as the high-flying hero The Falcon. The above photos also appear in the latest issue of Empire Magazine, along with two new looks at 'The Amazing Spider-Man 2.' Jamie Foxx portrays Electro, a villain made up of and capable of wielding electricity -- which you can see in action in the new pics from the film below. But much like 'Captain America 2,' the next installment of Marc Webb's Spider-Man series will see some mysterious characters perhaps taking on more villainous habits. Can you make out the familiar silhouette starring up at Electro in the new image? 'Captain America 2' hits theaters April 4, 2014, while 'The Amazing Spider-Man 2' will debut May 2.